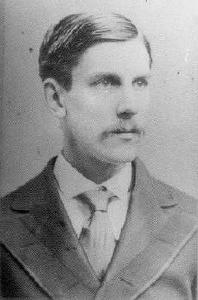 Dr. Oliver Wendell Holmes. The poet. He was born on 29 August 1809 in Cambridge, Massachusetts.2,3 He was the son of Rev. Abiel Holmes and Sarah Wendell.1 He was a descendant of John Holmes, who settled at Woodstock, Conn., in 1686, and of Evert Jansen Wendell, who emigrated from Eraden, East Friesland, Holland, and settled in Albany, N.Y., about 1640. His paternal grandfather was a captain in the British colonial army in the French and Indian war, and later served as a surgeon in the Revolutionary army. His father, a graduate in theology from Yale, and an earnest Calvinist, was pastor for forty years over the First Church, Cambridge. Mass. The religious training of Oliver's childhood made a deep impression upon his sensitive and poetic nature and from early manhood he was an aggressive Unitarian in direct opposition to the Calvinism of his father. He first attended a "dame school," kept by Mrs. Prenriss, and from his tenth until his fifteenth year he continued his education at a school in Cambridge-port, under Winslow Biglow, where he had as classmates Richard Henry. Dana, Margaret Fuller, and Alfred Lee, afterward bishop of Delaware. From Cambridge he was sent to Phillips academy at Andover, Mass., with the hope that he might incline to the ministry. There he made his first attempt at rhyme in the translation of the first book of Vergil's Æneid? He was graduated from Harvard in 1829 with William H. Channing, Prof. Benjamin Pierce, James Freeman Clarke, the Rev. S. F. Smith, and Benjamin R. Curtis. He roomed in Sloughton ball; was a frequent contributor to college publications; wrote and delivered the poem at commencement, and was one of sixteen of that class whose scholarship admitted them to the Phi Beta Kappa society. His cousin, Wendell Phillips, Charles Sumner and John Lothtop Motley were in attendance at Harvard, although not his classmates. He attended the Dane law school in 1899, remaining one year, and in that year devoted more the to verse writing than he did to Blackstone. In 1830, on reading a newspaper paragraph to the effect that the frigate Constitution was condemned by the navy department to be destroyed, he wrote on the impulse of the moment "Old Ironsides" which appeared first in the Boston Daily Advertiser, and quickly travelled through every newspaper in the United States, saving the vessel from destruction and bringing fame to the author. The following year he studied medicine at a private school under Dr. James Jackson, and in 1833 studied in the hospitals of Paris and London, spending his vacations in travel. He returned to Cambridge in December, 1835, received the M.D. degree from Harvard in 1836, and at once commenced his professional career. The same year he published his first volume of poems, which contained forty-five pieces. He received three of the Boylston prizes for medical dissertations and the three essays were published in 1838. He was professor of anatomy and physiology in Dartmouth college, 1838-40. He bought a house in Montgomery place, which afterward became Bosworth street, and there his three children were born: His wife died at their Beacon street home in 1888. In 1843 he published an essay on the "Contagiousness of Puerperal Fever," and on this rests his claim to having made an original and valuable discovery for medical science, which called forth at the time a most hostile argument from the two leading American professors of obstetrics, Professors H. L. Hedge and C. D. Meigs, of Philadelphia. He was appointed Parkman professor of anatomy and physiology at Harvard University Medical school in 1847, and occasionally overstepped the strict boundaries of these departments to give instruction in microscopy, psychology and kindred subjects. He relinquished his medical practice and was dean of the medical school, 1847-53. In 1849 he built a house at Pittsfield, Mass., upon the old family place on the road to Lenox, in a township which had belonged to one of his Dutch ancestors in 1735, and there spent his summers until 1856, having as neighbors and associates, Nathaniel Hawthorne, G. P. R. James, Herman Melville, Miss Sedgwick and Fanny Kemble. In 1859 he delivered in several cities a course of lectures on the English Poets of the Nineteenth Century, twelve of which were given before the Lowell Institute. Dr. Holmes was a favorite with the lecture bureaus, and had no lack of engagements; and in his medical lectures at Harvard the last period was assigned to him, because he alone could hold the attentlon of his exhausted audience, listening to the fifth consecutive lecture. As a lecturer he was interesting, original and stimulating. He was wont to speak of occupying not a "chair," but a "settee" of medicine. He invented the arrangement of the stereoscope, afterward universally used, but obtained no patent for an article from which he might have made a fortune, "not caring," as he expressed it, "to be known as the patentee of a pill or of a peeping contrivance." [S18] Various editors, Biographical Dictionary of Notable Americans, Vol. 5 p. 317. Rebecca Holmes married Thomas Amory. Com. Thomas Holmes, R.N. who has died in London, at the age of 81, spent the greater part of his life in the life boat service. He joined the Navy as a midshipman in 1866 on board H.M.S. Victory, and served as flag-lieutenant to Vice-Adml. Corbett on the East Indies Station. [S205] Newspaper, The Belfast News-Letter (Belfast, Ireland), Tuesday, April 21, 1891. [S606] Findmypast.com, Norfolk Banns Transcription. [S205] Newspaper, Western Morning News, September 22, 1933. [S205] Newspaper, Surrey Mirror, December 18, 1914. [S149] American Ancestors, , New Hampshire: Births to 1901, Deaths and Marriages to 1937. Child of Priscilla Holt and Nathan Chandler 1st. [S392] Website findagrave.com (http://www.findagrave.com/) "# 150716411." Matilda Holterman was born in 1858. She married John McKnight. Matilda Holterman died in 1932. [S160] New York Times, 13 October 1903.